In SharePoint Foundation 2010 you will have to use PowerShell which comes with Windows Server 2008. 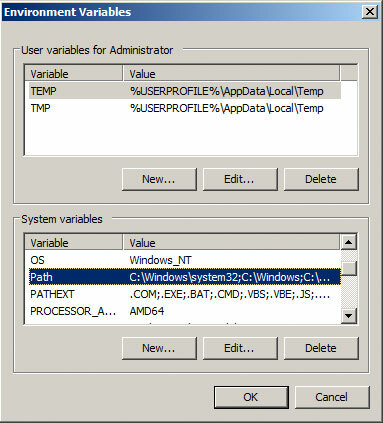 Add stsadm.exe to default system paths: make your system able to execute stsadm no matter what folder you are in. I was at my friend Jose Antonio Morales the other day. He had the same problem. Usualy he was solving this problem by just copying the stsadm.exe file to c:\ and than run all commands from there. But the problem with this approach is that the stsadm.exe in c:\ does not get updated, so he could not use the stsamd -o rename function.